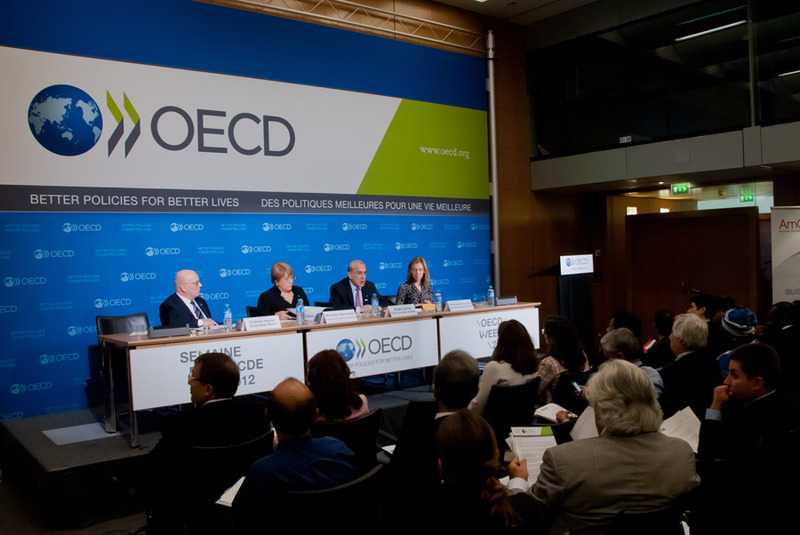 The OECD advised governments to start spending to save their economies. The Organization for Economic Cooperation and Development warned countries on Wednesday that the world economy is caught in a “low-growth trap” as very loose monetary policies are making things worse. The organization warns that countries should start spending to save their economies. A critical editorial in the Economic Outlook of the OECD points out that first world governments bare much of the burden for the failure of their economies to drive up demand and the disappointing attempts at an economic overhaul after the financial crisis in 2008. According to the 34-member Paris-based group, the countries’ central banks have taken too much of the burden of restoring growth to economies. As banks continue to pump more money into the economy in the form of asset purchases and using less than zero interest rates, governments are starting to realize the possibility of financial-market volatility amid diminishing returns they are currently experiencing. Rich economies like the EU and the U.S. have failed to get back to pre-2008 crisis performance levels and most emerging markets have struggled as commodity prices slip highlighting the lackluster growth of the world economy as a whole. Mann also noted that countries are locked in “negative feedback loops.” These loops include low demand, uncertainties in the world’s economies and slow progress in reform, which in turn negatively affect investment as trade growth continues on a weak streak. “Monetary policy cannot revive near and long-term growth by itself, and distortions are increasing,” the OECD said. Interest rates that have been pushed below zero have not been successful in reviving consumption and are stressing the profitability of banks while pension funds and insurers experience financial pressure. For another year, the global financial recovery will still be at a standstill as output grows at a low 3 percent. Since February 18’s forecast, the organization has not changed its predictions that the economy would be at a similar path as back in 2015. According to the OECD, expansion should increase to 3.3 percent in 2017. Trailing the OECD’s world forecast are the U.S. and Japan, as the organization cut its growth expectations, while pushing the Eurozone higher. U.S. gross domestic product is expected to grow 0.2 percent less, at 1.8 percent than the earlier prediction of 2 percent in February. 2017 projections remain at 2.2 percent. The Eurozone’s growth predictions went up to 1.6 percent from 1.4 percent with next year’s estimates remaining at 1.7 percent. The Chinese economic forecast remains at 6.5 percent this year and 6.2 percent in the coming year. Wednesday’s data on the Eurozone revealed a possible slowdown as the Purchasing Managers Index in the manufacturing sector slipped to 51.5 last month as opposed to 51.7 in April.